Want to know how to save money on alcohol? Let’s hope alcohol isn’t breaking your budget but if you’re like me and you enjoy a glass of wine a few days a week or maybe a beer then you’ll need to budget for it. If your budget is already tight or you just want to save money on alcohol so that you will have more money for other stuff then I have some great ideas for you. I’ve personally tried all of them and have saved lots of money over time especially on wine! Drinking high-end brands of wine, beer or liquor can create a problem for your wallet. If you already drink high-end liquor than you may want to try and experiment with lower priced high rated brands and see if you can find a comparable taste that will save you money. If you already drink affordable varieties than stick to it. I made the mistake of trying higher-end wines and the cheaper ones just didn’t taste as good anymore (could have been all in my head but you get what I mean). 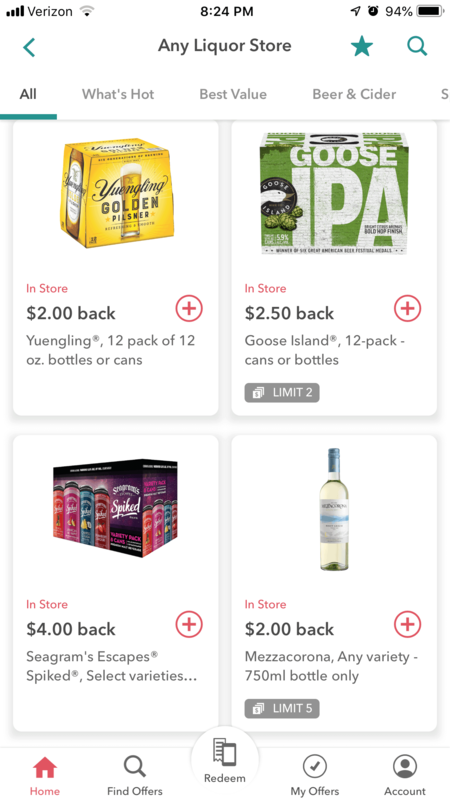 Some of my favorite coupon apps also allow you to save money and get rebates and cashback on your liquor store purchases. The best part is if the offer is in more than one app you can submit for all of them! Get cash back on wine, beer, & liquor at any store with Ibotta. Ibotta is a free app, and you can save on everything from groceries & clothing to liquor, beer, and wine. You simply just download the app, look for rebates and offers and scan your receipts and purchases to get cashback. Get a $10 Welcome Bonus when you use my referral link here. 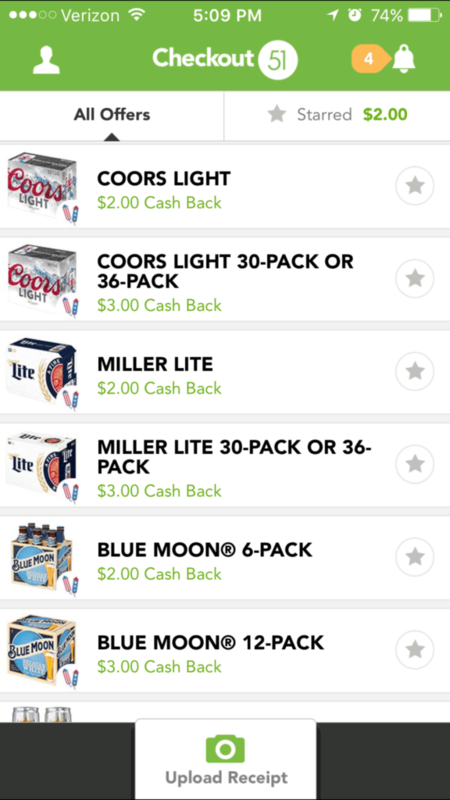 Checkout51 is another free app that gives you cash back on your purchases including beer, wine, & liquor. Very similar to Ibotta. Simply download and start saving! Fetch Rewards is a newer free app that turns your grocery receipts into rewards. All you do is scan your grocery receipt and you can get points towards free gift cards and more. Use My Referral Code: BM2BY, during signup and you’ll get 1,500 Fetch Points ($1.50 in points!) when you complete one receipt. Check out my full review of Fetch Rewards. Another way to save on your liquor store purchases is to look for hangtags on the bottles at the store. Often there will be a hangtag rebate right on the bottle for wine and more so be on the lookout while at the store. Wine, liquor, and beer mail-in rebates are a little more work because you may have to mail them in but if you spend the few minutes to do them you can save a lot of money on your purchases. Most liquor stores will give you a discount if you buy in bulk. Just ask the cashier or manager. Usually, they are happy to give you a discount because they are moving inventory and still making money plus now they have a happy customer. If you don’t know the power of asking for a discount check out my guest article over on the BusyBudgeter.com When and How to Ask For A Discount. You can also ask if they have a reward program, many do. If the reason you’re spending too much money on alcohol is that you go out and drink at restaurants and bars then drink at home! Invite friends over and have a girl or guys night in or a couples night. Usually, when you do this your friends will bring something as well. Buy a couple of bottles of wine some appetizers and put on a movie, play some games or sing karaoke. Have any ideas you want to share on how to save on your next beer, wine or liquor purchase? Share it below in the comments.